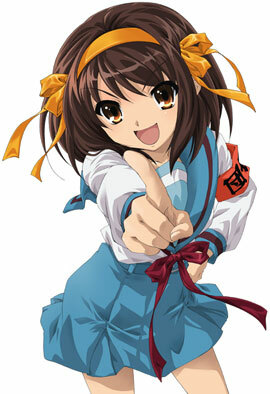 "talk about me all u want it just makes me famous ^-^"
well im Haruhi, i luv alot of animes, such as, Haruhi,Lucky Star,Naruto,DN angel, Elfen Lied, Death Note and more. My favroite color ish light blue, cuz its like the color of the sky. I LUV 2 write poetry i have so much passion for it ^^. Im really CRAZY when im around my friends, meh and my friends together, we are SUPER weirdos xD! 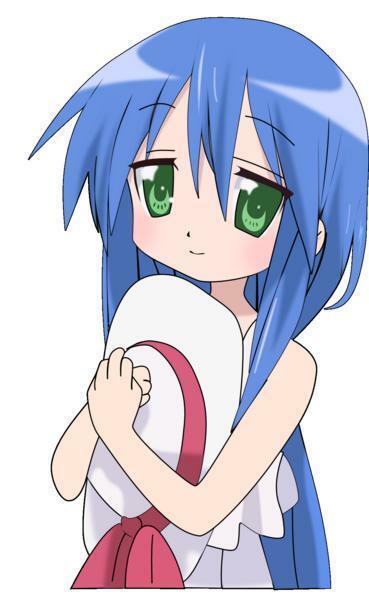 I have a bf, if any girls ish gonna try 2 take him away from meh its not gonna work cuz were tighter then chains o.o.... my best friends name ish Nique but we call her Chow cuz thats her nickname, and she also luvs the animes Lucky Star and Haruhi. I enjoy meetin new people and i luv 2 play sports like Cheerleadin and Baseball. In real I have long brown hair with brown eyes, sometimes people say if i were in a anime i would most likely look like Haruhi. this video ish completly awesome!